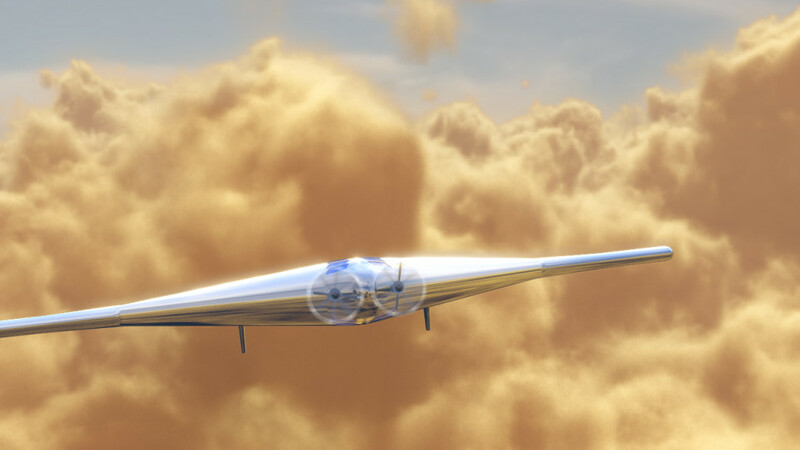 May 15, 2015 – Northrop Grumman Corp. formed a scientific advisory board to guide its efforts to develop a lighter-than-air vehicle to explore Venus’s environment. The company’s Venus Atmospheric Maneuverable Platform (VAMP) concept is a long-lived, maneuverable, semi-buoyant platform that would coast through Venus’s clouds gathering atmospheric data. VAMP is the first application for the Lifting Entry/Atmospheric Flight (LEAF) family of vehicles that could serve as atmospheric “rovers,” going to any solar system body with an atmosphere, including Venus, Earth, Mars and the moon Titan. The VAMP Science Advisory Board is composed of prominent American and European planetary scientists, who have been drawn from various research and academic institutions. The board will help define specific science goals, measurement requirements, and identify possible instruments for future VAMP missions. It will also serve as a science analysis group to mine existing data about Venus that may be useful to the VAMP mission. Venus, the second planet from the sun, is often referred to as Earth’s twin because of its similarity in size and mass. Although the surface of Venus is hot and hostile, its atmosphere at 50 kilometers is Earth-like and its clouds hold the key to the difference. Understanding Venus’ evolutionary path may shed light on Earth’s evolution and the origin of life. VAMP is a large and light, inflatable/deployable vehicle that would cruise through Venus’s clouds at altitudes ranging from 52 kilometers to 68 kilometers, using solar-powered propellers to maneuver on Venus, while gathering science data. It is being designed to be inflated and deployed on orbit and “float” like a leaf into Venus’s atmosphere, where it could operate for more than year. The concept brings together Northrop Grumman’s air and autonomous air vehicles, space, large deployable and re-entry systems expertise into a delta wing design. It draws on the company’s lengthy heritage in developing flying wing vehicles, starting with the 1940s era Flying Wing aircraft through the B-2 Spirit bomber to the X-47B unmanned aerial vehicle.